November 16th, 2012Google Fiber in your home soon! 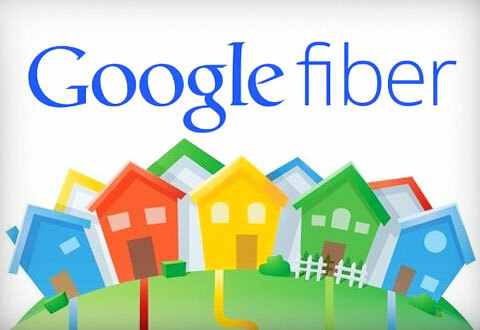 There was news abuzz that Google Fiber Installations are slated for November. The news is now confirmed with Google officially announcing that they are starting the installations as of 13th November. They promise a great experience in every home after they are done with their installations. It should be easily understandable by common folk and no one is going to find it too technical to understand. The connection process is to be completed in two stages. Google will first draw your Fiber from outside (the street) to very near your home. Once this is done, they will get in touch with you to implement the second stage where the connection inside your home will be completed. Starting with Hanover Heights, Google will be leaving a new box near your homes with a note left behind at your door informing you to expect either a phone call or an email regarding this. Once the appointment is confirmed, the installer will arrive and you can explain to him or her where exactly you want the installation to be done. With a solemn promise to stick to the schedule fixed so that you are not inconvenienced in any way, they assure you that your place will remain spick-and-span once they are done. The installers are specially equipped with vacuum cleaners to ensure that they clean up the mess before they leave. It’s not just that – all your questions will be answered patiently and the installer will leave only when you feel that you have understood everything. What’s more, any suggestions from you are quite welcome. When you take a look at the benefits that will accrue, you will champion the cause of Google Fiber yourself. Google’s Fiber promises to be the fastest internet speed in the world, hence allowing you to do things faster and save a lot of time. For instance, you can download a full length high definition movie in 5 minutes flat. Sending bulky files through email is now a reality and you will never again get the annoying message telling you that the file is too large. You can watch live lectures and presentations in 3D, and the speed of the service in general gets enhanced to 6 times of what you get now. With Google Fiber come the options to utilize new means that enable Internet access get a lot faster and better than it has been till now. The new deployment techniques at hand promise efficiency at the highest level. Google has acquired new methods to build better fiber networks with inputs garnered from experiences worldwide which make it unique. Google Fiber is slated to function on an “open access” network basis where a user has the liberty to choose multiple service providers and does not have to stick to one option. The business is bound to do better as the need to switch service providers is eliminated totally. You can now sit at a remote location and have your illness diagnosed by a specialist doctor sitting in a distant location. Medical records and images can be streamed in 3D and expert opinions sought across the web in a matter of minutes. Great things are expected from Google Fiber in the world of ultra fast Internet. This guest post is brought to you by Sandy Coops of cabletimenc.com, a site that offers savings and current information on time warner cable nc to learn more about savings on internet.